An integrative model of medicine holds to the truth that the human being is more complex than merely the combination of biology and physiology. One way to look at it is that the body is more like a garden than a machine. In a machine, you can separate each individual part from the other and still clearly understand its function. Whereas for a garden to be healthy and to flourish, many multi-dimensional relationships need to be held in balance; the seeds, the soil, proper sunlight, temperature, water availability and nutrition to name a few. This is the basic difference between what is called reduction and non-reduction science. In the non-reduction system, clarity is found by looking at the individual in relationship to the whole. In the reduction way of looking at things, you cut the whole into smaller and smaller pieces to better understand each part on its own. Modern physics has actually validated that the only way to truly comprehend the nature of reality is by looking at things in a non-reductive way. However, general medicine or allopathic medicine, as it is currently practiced, has struggled to embrace this non-reduction scientific system. This is not to say that standard general medicine does not have its benefits; its diagnostic technologies and emergency care are areas where it is at the forefront. However, in the realm of most chronic conditions plaguing large portions of the present earth’s population, it has been repeatedly demonstrated that the allopathic way is far from sufficient, with toxic side effects from harsh, environmentally insensitive pharmaceuticals, high treatment costs, and its futility in the prevention and management of common, recurring illness. Without a doubt, a new model based upon a more holistic understanding is needed to overcome this situation, emphasizing also the primary role of the patient. 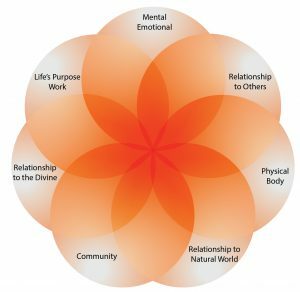 Practitioners that are part of an integrative heath care team embrace the reality that we are affected by our lifestyle, emotions and psychology, and subscribe to preventative measures to health care rather than reaction-based approaches. There is an emerging understanding that the body’s life force is always in the direction of positive health; what is referred to in biology as homeostasis. This inherent self-regulating and self-healing capacity is thus utilized in the process of prevention as well as treatment. Each patient’s care is individually tailored to his or her needs, requiring the development of ever-evolving, holistic methods of diagnoses and treatments, where the priority is given to diagnostic and therapeutic tools that are non-toxic, minimally invasive, and inexpensive. The patient is also entrusted with a major responsibility for his/her health and well being by leading a healthy, balanced life. 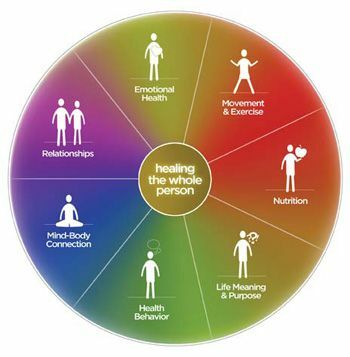 In the integrative model of medicine, there are no irrelevant parts of the picture; hence the patient and his health care collaborators value the importance of a holistic approach. In order to achieve this mission, the Auroville Institute for Integral Health is engaged in three categories of activities. These three categories comprise the essential pillars to effectively practice integrative medicine.